Don't make me drop a house on you! 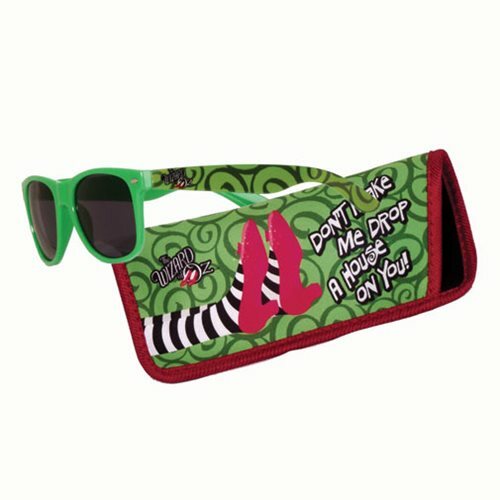 That's what the case says that's included in the Wizard of Oz Drop a House on You Sunglasses with Carry Case. Sunglass frames are green and include The Wizard of Oz logo. Case is approximately 6 1/2-inches long. Ages 4 and up.